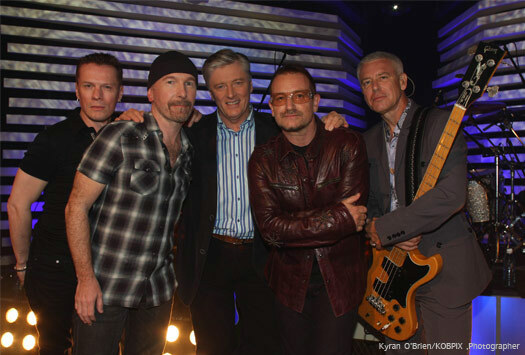 The band were guests of Pat Kenny last night, his final appearance presenting The Late Late Show. 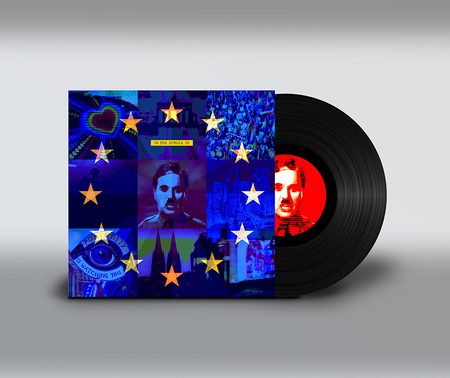 As well as playing Magnificent and presenting Pat with some leaving gifts, they had a revealing conversation which touched on the upcoming production, how they once nearly parted company with Paul McGuinness, what it's like to bring a tour home to Ireland and how U2 is a 'family business' built on disagreement. Here's a few choice highlights - you can watch the extended interview (when we last looked) here. Loved reading this interview becuase we heard from all 4 "brothers'" how this band has stayed together and rocked for 30 years & counting! Love, love, love...you guys! 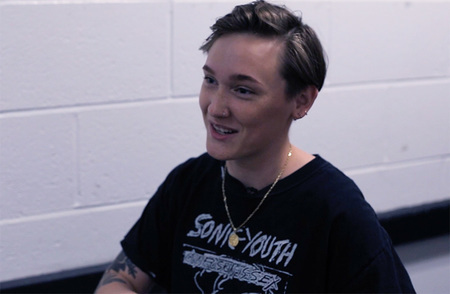 Great interview - cant wait for the tour! Interesting interview and clips from 'youtube.' 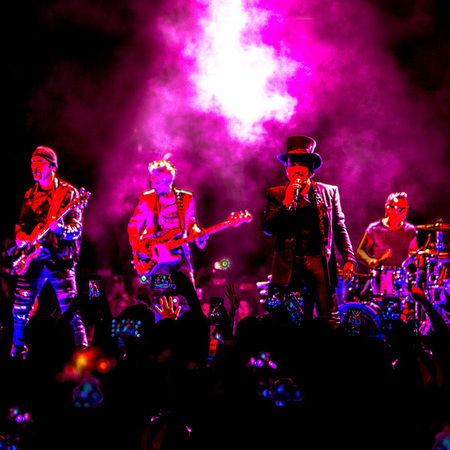 Thanks for sharing it with those of us who are fans in the U.S. Not only is U2 the best band in the world, but they have the best fans and the best website for a band and for their fans, to boot! 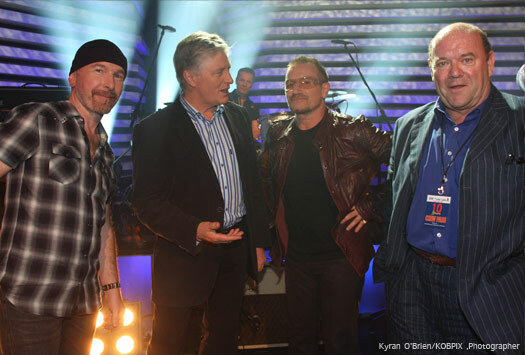 Ireland( the emerald island) or U2 (the golden boys with lots of platinum records) who´s the real jewel of North Atlantic? Both ... of course! Saw it on Youtube. Very nice performance, and great inferview which wasboth interesting/serious, and funny..thanks for letting us know. the guys seemed so relaxed. 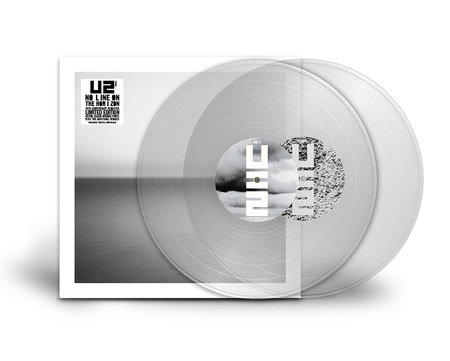 Could this be just the beginning of the next phase of U2? 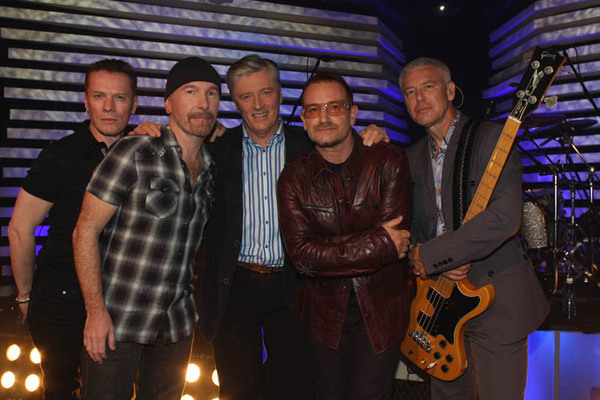 U2 surelly it is the best band in earth in the last 30 years ! Keep on rockin boys ! Amazing performance in the RTE channel, I just saw the video on you tube. Visceral song full of energy.Cheers from Brazil, Luiz.